Semolina pudding with raisins and nuts is a popular Lenten dessert known as halvas. Although the dish has Arabic origins, it has been adopted into the Greek culture, as many cultures have influenced the nation's cuisine. The country was once conquered by the Turks and under control of the Ottoman Empire. The dessert is widely served during fasting periods because there are no eggs or dairy in the recipe. While eggs or dairy are often eaten during Lent by Catholics today, since the Middle Ages these foods have been forbidden during the Lenten season. Observers of the Greek Orthodox religion may more strictly adhere to ancient guidelines surrounding Lent than others. Loukoumades are golden puffs of fried dough that are bathed in sweet syrup and sprinkled with cinnamon and walnuts. They are a simple treat but pack a lot of flavor which is enhanced by the spice and nuts. If you're giving up meat during the Lenten season, walnuts are a great source of protein during your fast as well. Melomakarona is nearly every Greek's favorite Christmas cookie, and it just so happens to be Lenten approved. It's a real treat! You can make these cookies yourself or buy them from a Greek bakery. A sweet anise flavor makes spiced biscotti a Lenten standout. It is the perfect treat to serve with coffee and tea. Biscotti is easily found in bakeries and coffee shops if you don't have the time or inclination to make your own. 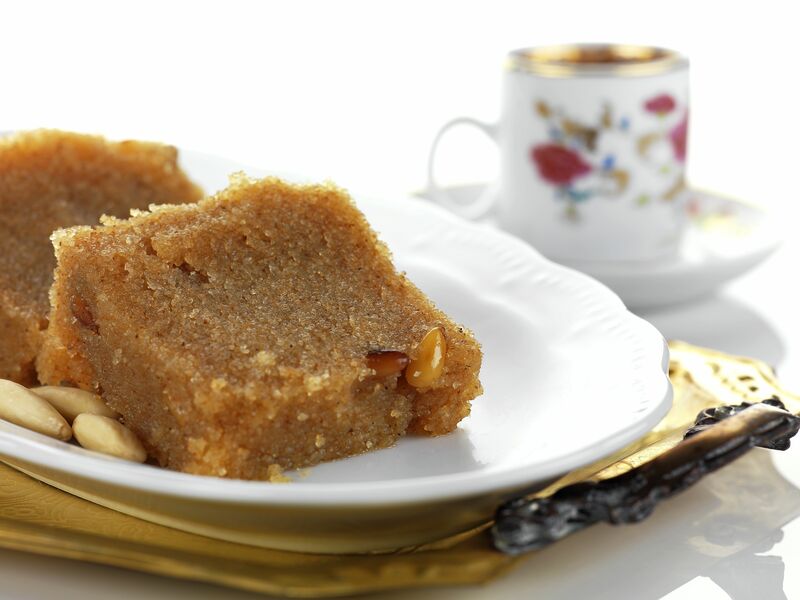 Traditionally baked in honor of Saint Fanourios, the patron saint of lost items, this cake will delight you with its nuts and spices. Once again, nuts will give you some much-needed protein during your Lenten fast. So, Fanouropita is not only tasty but will help you get necessary nutrients during this time of year. This is a rich and moist chocolate cake that tastes indulgent but still complies with the dietary restrictions of the Lenten season. 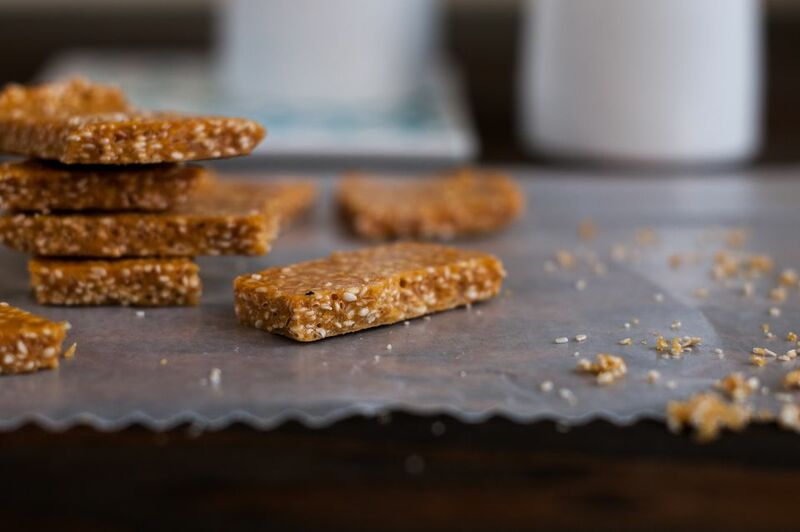 Pasteli is a favorite Greek candy made with sesame seeds and honey, and this traditional recipe is the simplest, easiest and perhaps oldest. It creates a chewy confection that can be enjoyed like any other candy, as an energy booster, and it goes particularly well with tea.